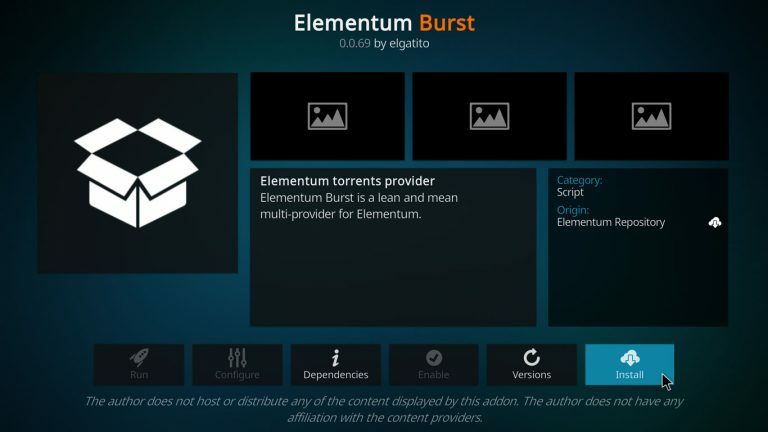 Elementum Burst is responsible for searching torrents on several popular websites so they can be played by the Elementum addon on Kodi. 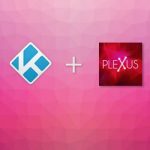 Usually, it is automatically installed upon completion of the Elementum addon installation but sometimes the installation process might fail. 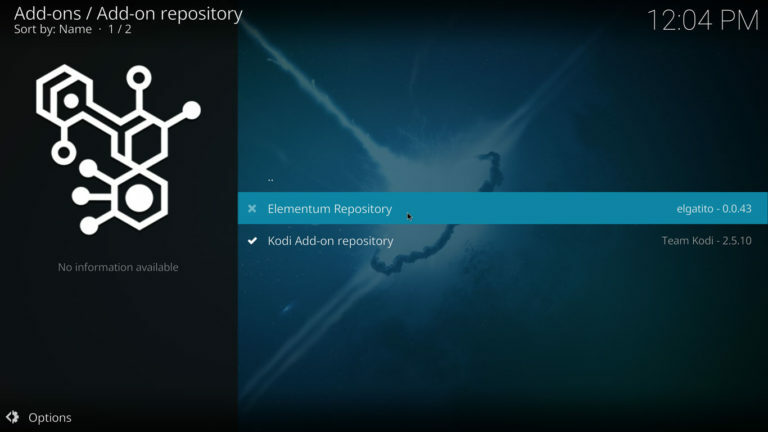 In this guide we’re going to install Elementum Burst on Kodi using its own repository, if you have not yet installed Elementum please read How to install Elementum on Kodi. Alternatively, you can manually download Elementum Burst from Elementum’s official website. 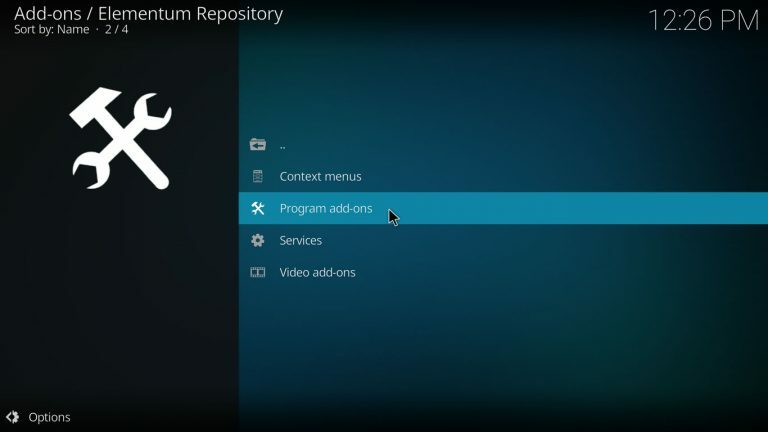 The repository is automatically installed together with Elementum, we’ll use Elementum Repository to install Elementum Burst. 1. 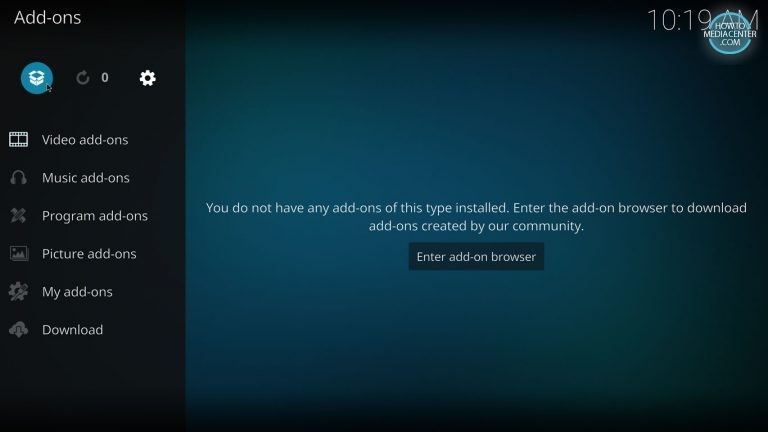 Go to the Home Screen and press the Add-ons tab. 2. Open the Add-on Browser by clicking the box icon on the top left corner. 6. Click on Elementum Burst. 7. 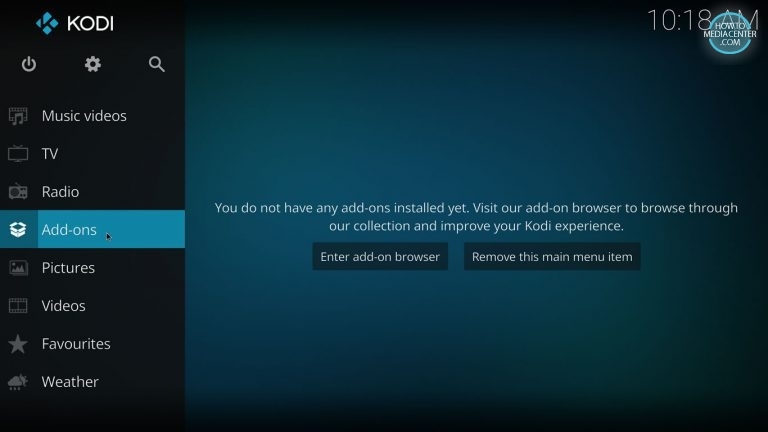 Press the Install button and wait a couple of seconds for the addon to download and install. 8. 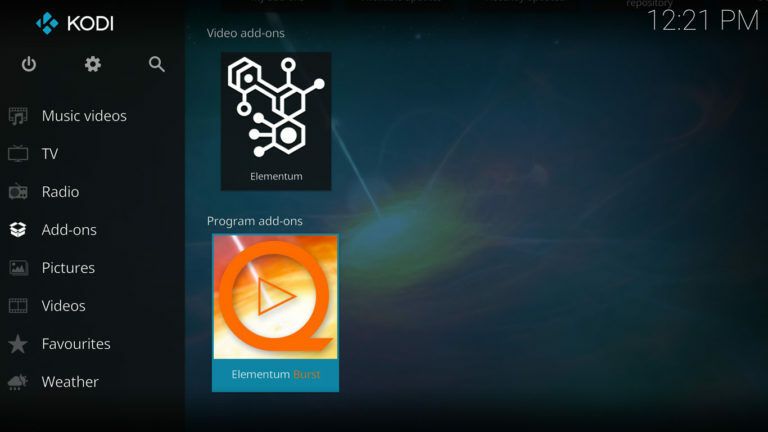 Go back to the Home Screen, make sure the Add-ons tab is highlighted, you’ll see a shortcut to Elementum Burst. 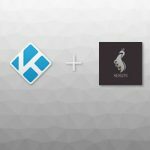 You’re now ready to use Elementum, check out the addon’s settings to enable more providers, set up preferred video quality of the results, enable Cloudhole to bypass Cloudflare captchas when using VPN, use public DNS and more. 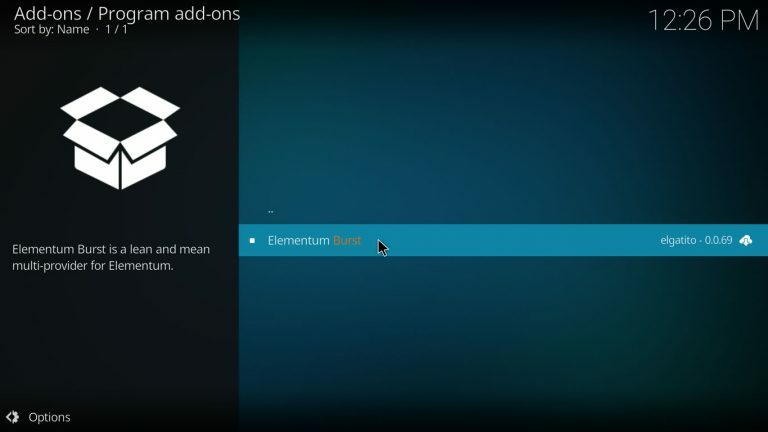 To open the settings use the context menu on Elementum Burst and select Settings. You can open the context menu by pressing C on your keyboard, right-click on your mouse, long-press on touch devices or the menu key on the remote. 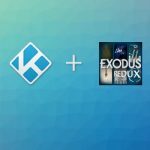 Elementum can use the library to organize your favorite movies and shows on your device, please read Library Integration with Elementum and Kodi for more information. 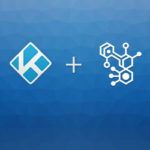 If you want to use your Trakt.tv account with Elementum to keep your favorites synchronized across all your devices please read How to use Trakt with Elementum. 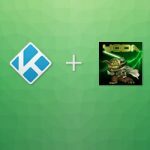 Sometimes the repository is installed along with the addon but it isn’t enabled, let’s check if the repository is active. 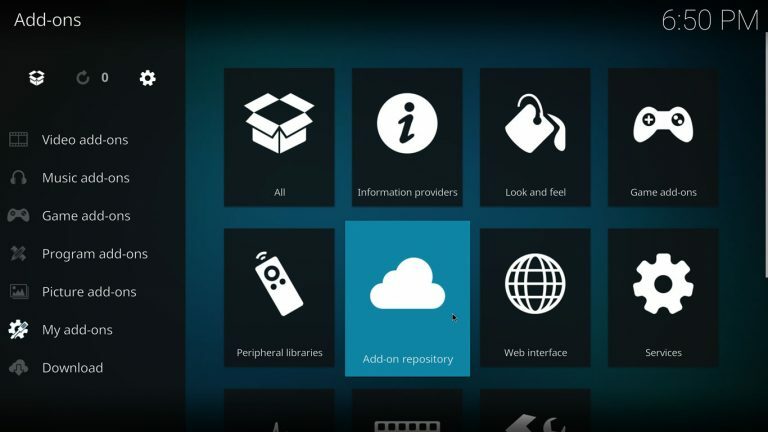 Use the following steps only if you can’t find the Elementum Repository. I. Click the Add-ons tab on the Home Screen. II. 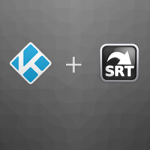 Highlight My Add-ons tab and select Add-on repository. III. Verify that the repository is enabled. 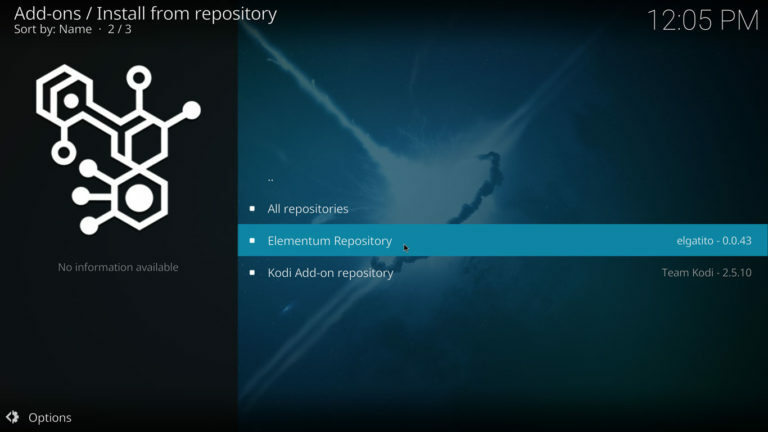 If there’s an X next to the repository you must enable it by clicking on Elementum Repository. IV. Now press Enable to activate the repository. 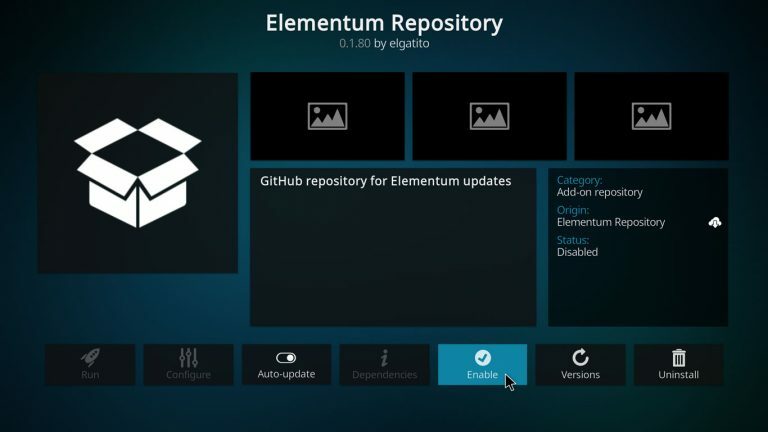 After enabling the repository you should be able to install Elementum Burst.